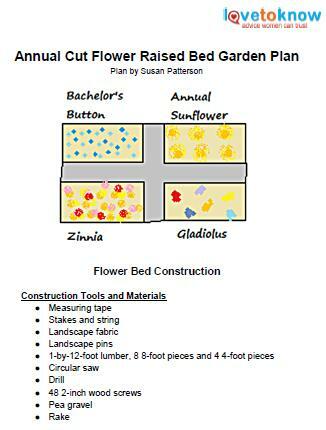 Beginning gardeners interested in learning how to start a flower garden often feel overwhelmed. What types of flowers should you plant? Should you buy seed packages or those little pots at the garden center? When should you plant flowers, and where should you put them? Fortunately you can learn how to start a flower garden in a few simple steps by looking at your garden and choosing a few simple plants. With so many beautiful flowers to choose from for your garden, it may feel overwhelming when you're ready to start a flower garden. Before reading the instruction on starting a flower garden, consider the available light near the area where you wish to grow flowers. The most important factor dictating which flowers you can plant, next to your gardening zone or climate, is light. All other factors can be changed; you can water plants more to compensate for dry conditions, change the soil by adding compost and organic material, or adjust soil pH by adding lime and other amendments. Light, however, is often dictated by adjacent structures such as the house, garage or mature trees, items that cannot be easily changed. Shade: Three or fewer hours of sunlight per day. Shade may be described as light shade or dense shade, with dense shade the trickiest to work from. Dense shade means direct sunlight never reaches that portion of the garden. Look carefully at the garden area several times throughout the day during spring or summer and note how much light you have. If there are no buildings or large trees obstructing the sunlight, you probably have full sun. If there are any trees or buildings nearby, you may need to peek out your windows periodically and see how much light reaches the ground. Knowing your light requirements will help you choose flowers that will thrive in your garden. If you are a beginning gardener, you'll probably have better luck growing your new flower garden if you buy healthy plants at the garden center in the spring rather than trying to grow everything from seed. Wait until the frost free date for your gardening zone to plant your flowers outside. If you're not sure, find your zone and look at the date in the spring; that's your frost free date. This is the average day of the last frost for your area. Generally speaking, you can plant flowers outside after this date. Flowers are divided into several categories. The most common flowers are annuals or perennials. Annuals must be planted each year. Perennials return from the rootstock each year and grow larger every year. There are other types of flowers, such as biennials, but if you're a beginning gardener these are the two major categories to note. For shady spots, try impatiens. You can also grow impatiens in sunny areas. They require more water if you grow them in sunny spots. Coleus provide interesting foliage for shady areas of the garden too. When choosing perennials for the garden, consider their mature height to determine placement in the flower bed. You should plant taller perennials in the back of the garden so they don't block your view of smaller flowers. For shady spots, try hosta, which has lovely foliage ranging from pale lime green to rich blue-green and white or purple flowers. Other perennials for shade include ferns and astilbe, which has wonderful spikes of frothy flowers. If you need help downloading the printable plans, check out these helpful tips. 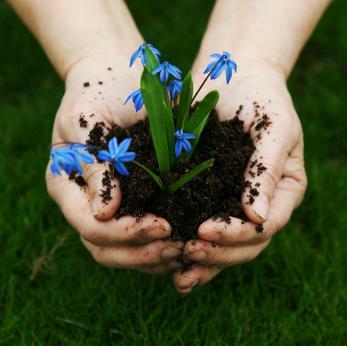 How to Plant Flowers, a primer on planting flower seeds and plants. A List of Spring Flowers for growing pretty flowers in spring. Shade Loving Plants to help you select plants for tricky spots.